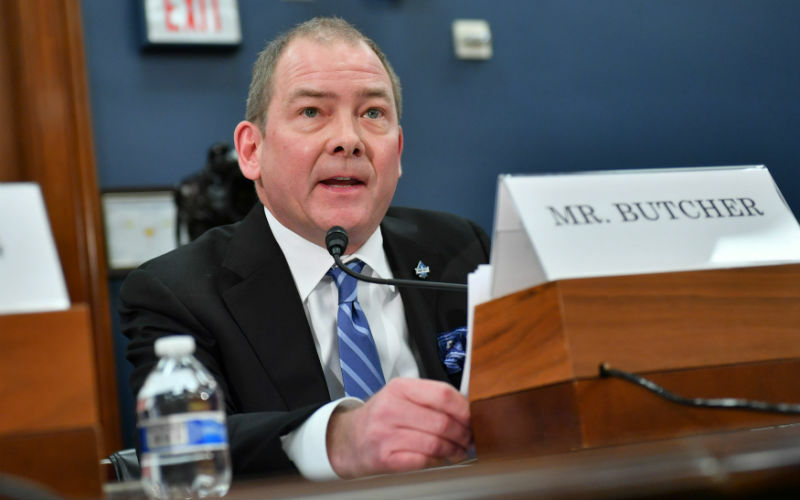 On Wednesday Feb. 6, Bill Butcher of Port City Brewing in Alexandria, Va. testified at a House Small Business Committee Hearing, The Shutdown: Economic Impact on Small Businesses. Butcher was on hand to share how the partial government shutdown and the subsequent closure of the Alcohol and Tobacco Tax and Trade Bureau (TTB) and the Small Business Administration (SBA) impacted small and independent breweries and how they could help prevent these problems in the future. 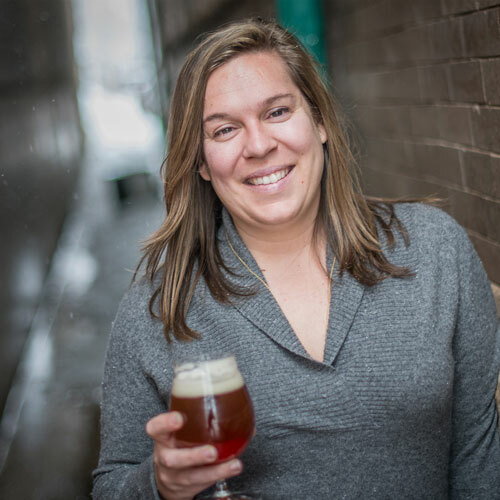 Butcher spoke about how breweries and other alcohol producing businesses are required by law to get labels and certain formulas approved by the TTB and how the closure of the agency puts a hold on the brewing process. He shared a story about how not being able to get a Certificate of Label Approval (COLA) processed and approved impacts not only his business but also the businesses he works with. The Brewers Association estimates that in 2017 the TTB was approving an average of 93 COLAs a day, and that the agency’s closure resulted in a backlog that grew exponentially every day the government was closed. Prior to the shutdown the TTBs average wait time for label approvals was anywhere from 6 days to a month. As of Feb. 6, 2019 the processing time was 52 days. The TTB also processes formula approvals for when a brewery is using an ingredient not on their pre-approved list, as well as Brewer’s Notices, the permit a brewery is required to get to open a new brewery or a satellite location. Butcher mentioned in his testimony that breweries apply for their Brewer’s Notices well in advance of their openings and that some breweries that were looking to open in July were already considering pushing their opening dates back due to processing delays. Butcher asked that the legislators in attendance work with the Treasury Department and the Office of Management and Budget to declare TTB employees essential. Butcher also discussed how the closure of the SBA was hurting small breweries who account for $1.4 billion in loans from the SBA. Butcher also requested that SBA staff who approve federally backed loans also be declared essential. Butcher fielded questions from Chairman Velazquez (D-NY), Ranking Member Chabot (R-OH), Rep. Delgado (D-NY), and Rep. Hagdorn (R-MN) during the hearing. The questions ranged from how the federal excise tax recalibration benefitted breweries to requests for examples of how breweries and their agricultural producers were impacted by the shutdown. Click here to watch the full hearing. Old Ox Brewing Company recently purchased a new building in Middleburg, Va. for a tasting room and a second brewery. They need a permit from the federal government to open and are losing money every day the process is delayed. Cape May Brewing Co in Cape May, N.J. was unable to use the name “Eminently Drinkable” for a beer that they were bringing to a festival in Boston. Without an approved keg collar from the TTB they would not have been able to transfer their beer across state lines. They ended up having to use a pre-approved label for “Beer Name” which is what they used to get the beer to the event. 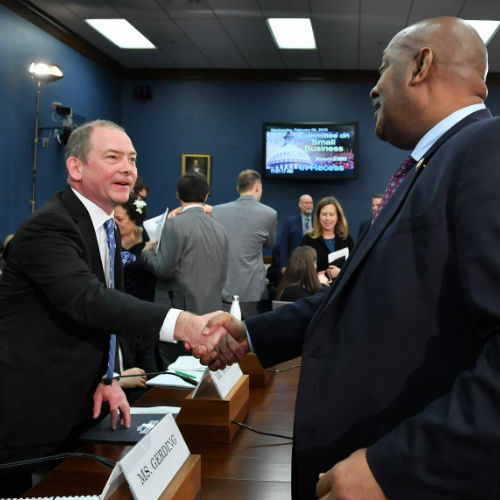 The Brewers Association has been working with members of Congress and other members of alcohol trade groups on potential solutions for the backlog at the TTB. Prior to the shutdown, Congressman Peter DeFazio (D-OR), Mike Kelly (R-PA), and Patrick McHenry (R-NC), and Senators Mark Warner (D-VA), Tim Kaine (D-VA), and Michael Bennet (D-CO) have expressed their frustrations and their support for America’s craft and independent breweries through letters sent to Secretary Steven Mnuchin last week. With the government only guaranteed to be open until Feb. 15, 2019, the Brewers Association continues to educate Congress and the Administration about the impacts of the government shutdown on breweries, and look for long term solutions to fix the backlog and prevent future closures of the TTB and SBA.